Coming of age in the 1960s and paying close attention to popular music, one had to be aware of the great rhythm sections that worked behind singers and vocal groups that regularly hit the "Top 40". Whether it was James Jamerson (bass) and Benny Benjamin (drums) of Motown Records fame, bassists Carol Kaye or Max Bennett with drummers Hal Blaine or New Orleans transplant Earl Palmer in Los Angeles, these people were the foundation of the music that made many of us dance. 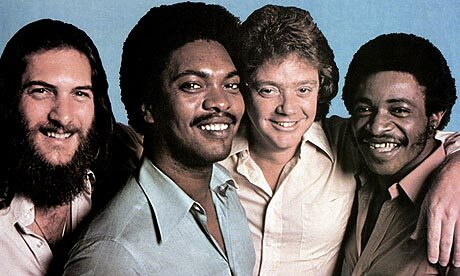 Then, there was Booker T. & The MGs. Organist Booker T. Jones, guitarist Steve Cropper and the rock-solid rhythm section of bassist Lewis Steinberg and drummer Al Jackson powered many of the great tracks that came out of Stax Studios in Memphis, Tennessee. After Steinberg decided to leave the band in 1965, Donald "Duck" Dunn (already a studio musician) stepped in to the bass slot, locking in with Jackson (sadly, murdered in 1975) and never looking back. The band toured and recorded with Otis Redding (you can see them in action behind the great singer at The Monterey Pop Festival of 1967 (search YouTube) but, basically, they worked as studio musicians, occasionally opening for other bands. "Duck" Dunn, whose list of credits include many of the biggest hits and finest artists of the past 5 decades, passed away at the age of 70 Sunday May 13 in Tokyo, Japan, several hours after playing a date with long-time friend and associate Steve Cropper. Many people saw Dunn in the "Blues Brothers" movies and he certainly had a long career. My memories will include songs like Eddie Floyd's "Knock On Wood", William Bell's "You Don't Miss Your Water (Till Your Well Runs Dry)", Otis Redding's smoking version of "Rock Me, Baby" as well as dates with blues guitarist Albert King, Wilson Pickett, Herbie Mann, Bill Withers, Sam & Dave and so many others. Dunn was not a "show-off"; instead, he was the heart of the rhythm section. No matter who the drummer might be, Dunn stayed the course. That doesn't mean he was not a creative player; listen to Booker T.'s "Melting Pot" Lp from 1971 and one can hear how he and Jackson interacted with Cropper and Jones, how the liquid bass lines flowed around the solos never losing direction, always solid as a rock.. Thanks to digital archives and fans of soul music, "Duck" Dunn's passing will not go unnoticed. Solid as a rock, his bass playing may not have the influence of Paul McCartney, Jaco Pastorius, or Larry Graham but every time you hear a band playing "I Can't Turn You Loose" or "In The Midnight Hour", the blueprint of that music was the work of "Duck" Dunn.